The wait is over! as our very own tech expert visit the global launch event in New York City, Yugatech share to us the complete specs and his feel about the new Samsung smartphone - the Galaxy S4 i9500. See the full specs below. Yuga humbly gave his first impression from the new Samsung Galaxy smartphone - "S4". Samsung Galaxy S4 i9500 got an Exynos 5 Octa processor and packs 2GB RAM. It also have 4G LTE features composed of 6 bands such as 700MHz, 800MHz, 1700MHz, 1800MHz, 1900MHz, 2600MHz. According to Yuga, "The handset manufacturer also put a lot of focus on the OS layer by adding a huge set of customizations from entertainment, education, health and media fronts." 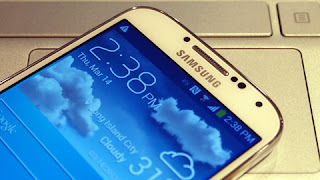 There's no details about the SRP of Samsung Galaxy S4, but it was expected to land in worldwide market this coming summer, more likely in May 2013, according to report by Yugatech. For the meantime, if you like the information about Samsung Galaxy S4 i9500 Specifications, please bookmark this page and share it to your friends on Facebook, Twitter and Google+. Comments or suggestions about "Samsung Galaxy S4 i9500 Specifications" is important to us, you may share it by using the comment box below.